Have you been searching for a proven, trusted distributor of neoprene gaskets and convoluted Teflon hose? Are you tired of getting the runaround from your current suppliers? Do you need a reliable source that will help you avoid downtime and ensure profitability? Since 1946, Kent Rubber Supply has worked to meet the needs of global customers in a diverse range of industries. 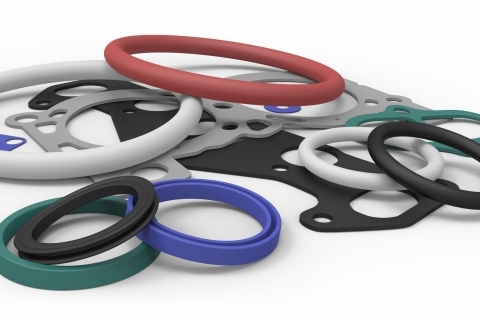 With the ability to provide custom rubber products for nearly any application, we are well-positioned to identify, locate, and source an unparalleled number of products that will help you keep your facility moving. When it comes to addressing the challenges faced by our clients, we go to great lengths to ensure 100% satisfaction. Whether you’re in need of products that are particularly difficult to find or facing a deadline that requires expedited shipping, you can be confident that our team will rise to the challenge. Working with us, you can be confident that we have access to – and can supply – nearly any rubber product that you can imagine. Whether you need neoprene gaskets, hydraulic hose, convoluted Teflon hose, or any number of other essential items, we can meet your demands. At Kent Rubber Supply, our goal is to provide top-notch customer service and access to an unmatched number of high-quality custom rubber products. For over 70 years, we’ve built our reputation on meeting – or exceeding – our customers’ needs. From industrial hose to OEM rubber products, we’re the industry’s most trusted supplier. If you’ve been searching for a new supplier of the absolute best rubber products on the market, we encourage you to browse our site, learn about us, explore our catalog, and contact us with any questions that you might have.